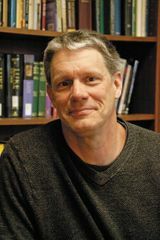 Peter Enns is the Abram S. Clemens Professor of Biblical Studies at Eastern University, St. Davids, Pennsylvania. Enns speaks at schools, churches, and seminars across the country and is a frequent contributor to journals and encyclopedias. He is the author of several books, including The Sin of Certainty, The Bible Tells Me So, Inspiration and Incarnation, and The Evolution of Adam.